What is the focused mind state? The key to the focused mind state – dynamic and fluid concentration. The three essential features of the focused mind state. A simple method for developing your flexibility of attention during your working day. Applications of the focused mind state. Three strategies to get the most from this course. The difference between light bulbs and laser beams. Gaining a better understanding of the mind-body. Three guidelines for using questions to focus your attention. Some of the forces that focus and direct your attention. The four factors present when concentration is functioning. How to use labeling to build the power of mindfulness. Understanding the dynamics of mindfulness. A shot history of the study of the mind. The importance of recognizing when you’re tense. What happens as your learn to quiet and focus your mind. Three strategies to increase the performance level of the people around you. Another method you can use to strengthen your concentration. Exploring the warrior mentality to cover obstacles. Understanding the mechanics of how concentration becomes impaired, 6 steps. Why you aren’t fully focused all the time. Strategies to help you create an outer and inner environment that conductive to optimal concentration. Homeostasis (self-regulation): the primary principle in a living system. Clearing the way for concentration by learning how to release tension. A few simple relaxation strategies. Transforming distractions into aids for your concentration, 3 principles. Guidelines for creating your own focus-training sessions. Three ways to learn about flow. Catching the wave: making the notion of flow real for you. An overview of the research on flow. Applying the knowledge about flow to your daily life and work. How to get proactive and intentional about living in the flow. The different dynamic dimensions of the focus, flow, and flexibility of your attention. The Energy Arousal Continuum: a teeter-totter. What to do when you feel our mental clarity fading. Exercises that help restore stability and calm to a restless wandering mind. Bringing the mind into focus. How to make things real. Using breathing to return to mindfulness. How to be mindful of the body. Practicing the mindfulness of seeing. Liking and disliking/judging and accepting. Applying mindfulness to the art of high-performance, breakthrough thinking. The keys to mindful/breakthrough thinking: five guidelines. Classical themes for breakthrough thinking. The Encampment and the power of living kindness. Four primary skills to breakthrough thinking. Using breakthrough thinking in you daily life. What is single point concentration? Investing attention and energy in the training of single-pointed concentration: four strategies. Learning to sit like a mountain. Anapona: using this yogic technique to build single-pointed concentration. Several ways to practice single-pointed concentration utilizing visual and mental images. Five important things to remember while developing single-pointed concentration. The panoramic focus of attention: six steps to open the dimensions of the focused mind state. Objectless imagery: applying “Open Focus Training” to your life. Three realizations on the workings of the mind. How to apply the focused mind state on a large scale. Applying it to your personal achievements. Three challenges to training for extra-ordinary performance. How to make any activity more interesting and satisfying with correct concentration. The Nine-Part Breath Exercise - strong>An exercise for synchronizing the left and right hemispheres of the brain. I want to learn to live my life “on purpose” and to focus the energy of my sometimes wandering mind and enhance the essential quality of my life, my work and my relationships. 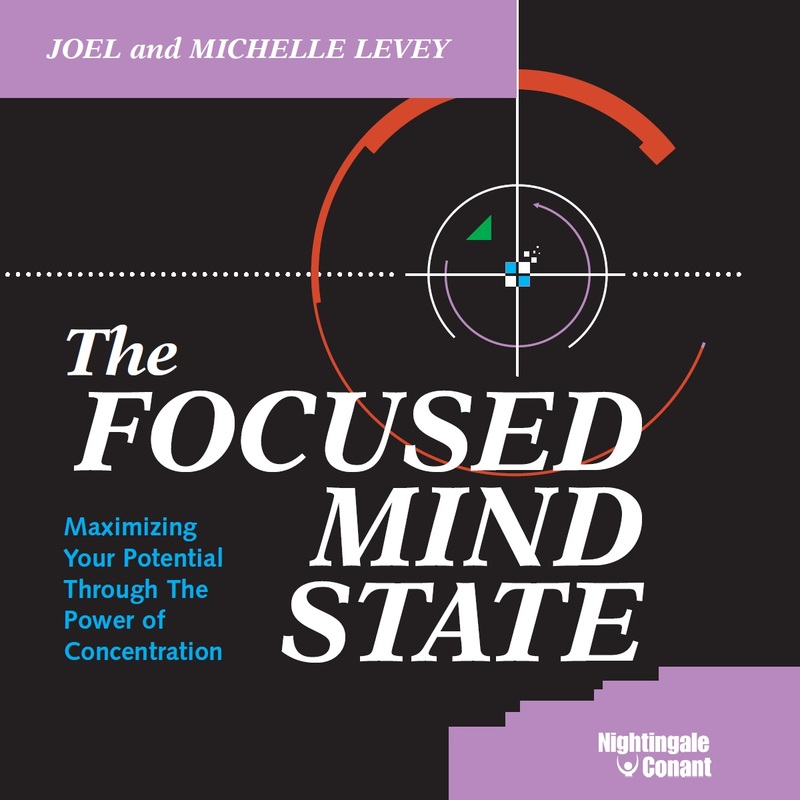 Please send me Joel & Michelle Levey's audio program The Focused Mind State, at the special price below. - I can select one of two ways of ordering.